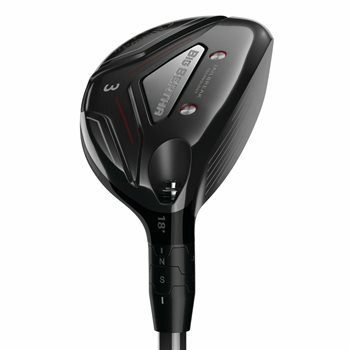 The Callaway Big Bertha 2019 hybrid gives golfers a groundbreaking combination: Jailbreak ball speeds and adjustability for easy launch. The new hybrid model introduces an entirely new OptiFit Hosel System that’s shorter and lighter, allowing for full optimization of the Center of Gravity for easy launch and high, long-carrying flight. The Big Bertha features Jailbreak Technology to promote fast ball speed and long distance while the ultra-thin, Carpenter 455 steel face and Hyper Speed Face Cup, promotes long distance on both center and off-center hits.